Mystery Books: Snowed-In, Snow Bound, Snowy, Howling Wind – or Just Too Doggone Cold! 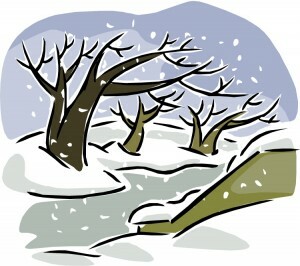 All this cold weather has made me want to make a mystery book theme for the cold! This list of mystery books brings to mind dark, shadowy events on dark, dreary days. It has generally occurred to me that not only have I not written anything set in the cold, I am having a hard time remembering anything set in the cold. While I’m sure I have, I can’t remember a thing. I live and write in Charleston, SC so cold weather is something that is, well, actually a treat. Meaning we get a little of it and hopefully it doesn’t stay that long. My most recent novel, The Trust, is set in my hometown, but I will look forward to reading my way through this list! I never would have imagined that I would see snow in San Antonio! When we moved here 17 years ago, I always hoped for snow so that our children could enjoy it. No such luck on that one. And, our 16 year old “puppy” didn’t enjoy it at all! As always, love the site. I found a new writer which I don’t think you have. It is set in California and it is about a zoo keeper. A pretty good cozy mystery…Betty Webb writes the Gunn Zoo Mysteries – 1st book is the The Anteater of Death and the second is The Koala of Death. Kind of lame titles but great facts about the animals and life as a zoo keeper plus the famous woman sleuth solving an interesting death! Joanne Fluke’s Sugar Cookie Murder fits this theme. People are only snowed in for a night, but that is when the murder happens and is solved (most of the book happens that night). Oh my goodness, Melanie, I forgot to thank you for telling us about this “snowed in” theme mystery book. The characters in C.C. Benison’s Eleven Pipers Piping are stuck in a snowstorm at a Burns Dinner. Thank you, Linda P, I added C.C. Benison’s Eleven Pipers Piping to the snowed-in mysteries theme. Mancho, I read Jerusalem Inn so many years ago that I totally forgot about it being a snowed-inn mystery. The Burnt Orange Sunrise, the 4th book in the Mitch Berger and Dez Mitry series by David Handler is a snowed in mystery. Mitch and Dez go to Astrid Castle for a small intimate dinner with the family that owns the Castle. They become prisoners of the storm. Trees and electricity wires are snapping due to the ice and snow, Roads are blocked or shut down.Murders start to occur. From the title of the book, I wouldn’t have known that it was a snowed-in mystery. Lynn T, thank you so much for telling us about David Handler’s The Burnt Orange Sunrise being a “Snowed-In” mystery. I just added it to this theme’s page. I just read a new cozy with a snowed in theme. It is Fright to the Death by Dawn Eastman. Lynn T, thank you for this addition to the Snowed-In mysteries list! A great addition to this list is Valentine’s Day murder by Leslie Meier. Although the entire book is not set in a snowstorm the book is set in the winter in Maine. So the setting is cold and snowy and the final climax Takes place during a big snowstorm. I also would like to take the time to mention how much I love your website. It has become a Wikipedia of cozy mysteries for me. Lol keep up the good work! Tiffani, thank you for the Valentine Murder addition to the snowy theme list AND I am so happy to hear you are enjoying my site! Thanks for the very kind words! I just finished Death and the Dancing Footman, by Ngaio Marsh, where the characters were snowed in in a British country house – it was very good! This site is a wonderful resource – thank you so much for providing it! Maureen, you’re welcome! I’m glad you’re enjoying Ngaio Marsh – she is definitely one of my favorite classic Cozy authors!